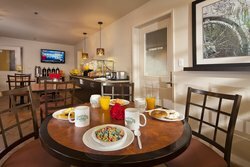 Stay with us to feel like you're surrounded by family, pampered by our hotel’s amenities and services. For business trips, weekend getaways, or overnight stopovers in scenic Sacramento Valley, we have everything you need for a fabulous time throughout your stay. 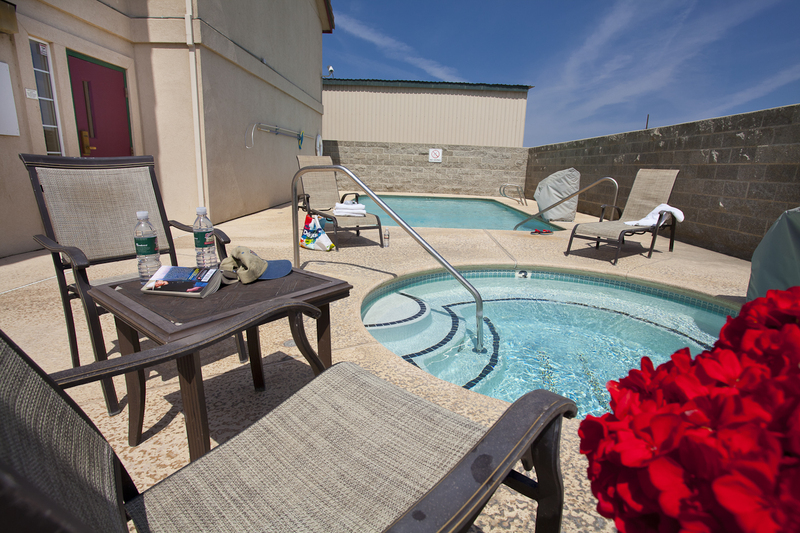 Start off with a complimentary deluxe breakfast and then soak away your troubles in our pool and hot tub. 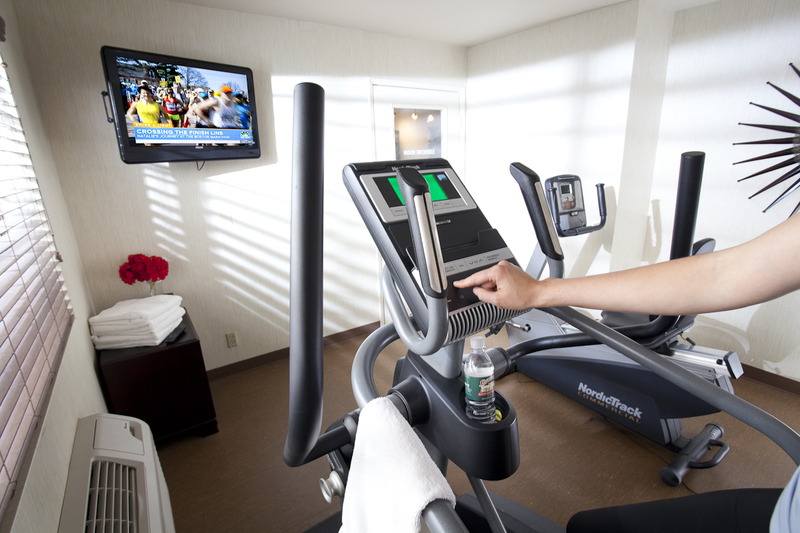 You won’t sweat the small stuff, because our additional perks make traveling easy, including pet-friendly rooms, free parking, free high-speed Wi-Fi, and coin-laundry. Staying at our hotel also puts you steps away from Granzella’s Restaurant. Guests of the hotel enjoy discounted shopping at the restaurant, deli, retail and gift shop, as well as a free loaf of sourdough bread! Make a plate brimming with delicious options, and tuck into a hearty start to your day. Go sweet or go savory, with waffles, French toast, bagels, English muffins, rolls, and more. 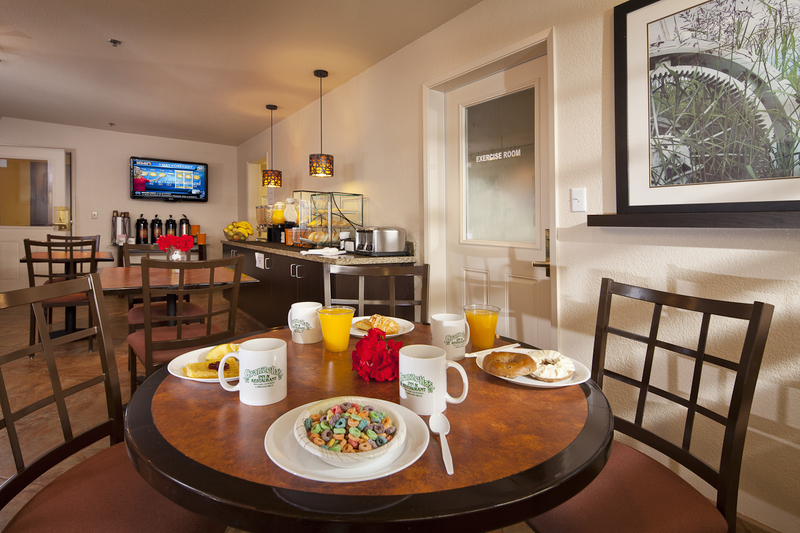 Enjoy fresh fruit and freshly brewed coffee alongside your breakfast. Our seasonal outdoor pool is open through the warm months and is perfect for families and guests looking for a refreshing dip. Our hot tub bubbles year round and boasts soft spa jets for that added luxury feeling. We have two event spaces nearby. Our on-site conference room can host up to 60 people, or 50 seated at tables. Our conference room is ideally set up for business meetings with A/V equipment and table set up. 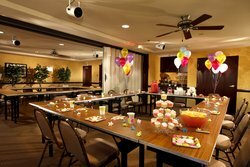 Granzella’s Banquet Hall is also located right around the corner, with seating for up to 180 people. The space is outfitted for large gatherings, with tables and chairs, as well as on-site catering and more. 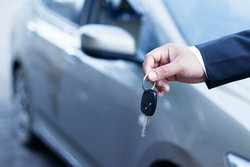 We have free parking right outside the hotel. 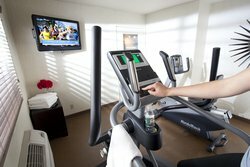 We also have electric charging stations available for guests of the hotel. 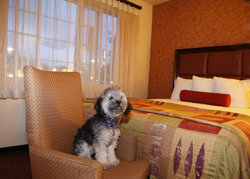 We are a pet-friendly hotel! Bring your furry friend on your road trip and stay at Granzella's Inn. Check out our pet policies for fees and details.